Get ready for romance, passion, love – in this brand- new, tailor-made symphony circus program! 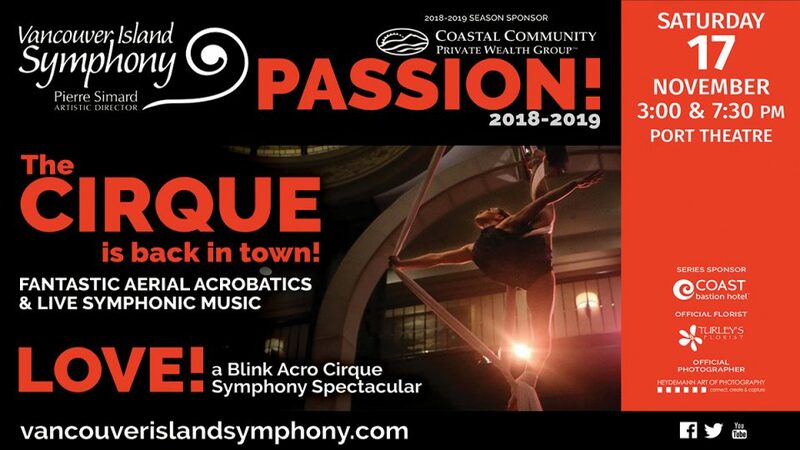 The eternal theme is revisited through orchestral love stories, underlined with amazing acts designed by Langley-based cirque artists Blink Acro. Hand to hand, aerial dances, contortion and many more are on the menu for this not-to-be-missed premiere!